Author Sven Michael Davison, one of the rising young Turks of cyber-fiction literature, has written a new novel, to be published in March 2011, which imagines a time where a P-Chip, as he has named it, has the capabilities to change who people are. Not many people are brave enough or crazy enough to want to be among the first to have the equivalent of a GPS, smart phone, and computer rolled into the form of a microchip embedded in their brains. Is this a near future world or simply the work of a clever writer? Author Sven Michael Davison, one of the rising young Turks of cyber-fiction literature, has written a new novel, to be published in March 2011, which imagines a time where a P-Chip, as he has named it, has the capabilities to change who people are. 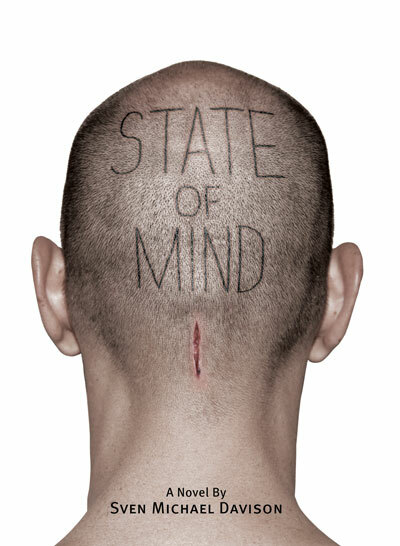 STATE OF MIND, set in Los Angeles in 2030, is a gritty tech-noir that examines the loss of freedom in a city that has been the setting for some classic post-industrial dystopias. Jake Travissi, the unlikely hero of the story is, after botching the arrest of the son of the governor, banned from the police force and then wins a rare second chance. The price: volunteer to have a computer chip implanted in his body and join the Homeland Security experimental enhanced unit. Davison wrestles with many of the most compelling themes of cyberpunk genre today: a near future world where the daily events of life are played out in a space where the boundaries between the virtual world and the real world have dissolved. Sven has worked as a trailer copywriter at Paramount Pictures and a staff screenwriter for several other smaller production companies. He was head of 20th Century Fox’s World Wide Home Entertainment Content and Production Department for ten years. When not writing he consults for entertainment technology companies. This is his second novel. 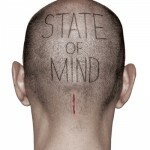 Film options are currently being shopped and a graphic novel version of State of Mind is being readied for July Comicon in San Diego.